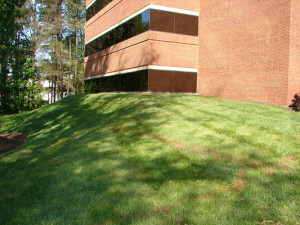 When it comes to design and needs, we’re all a little different, and it shows in both indoor and outdoor design. 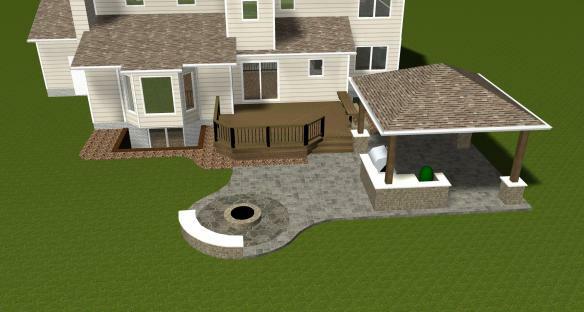 When creating an outdoor living space for one of our clients, our Archadeck designers are sure to discuss the clients goals and how they intend to use the space thoroughly. 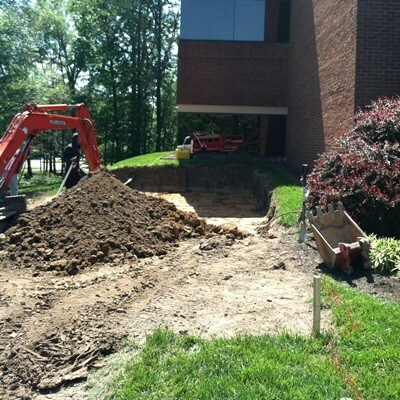 Even within the same type of project, the needs can be vastly different. 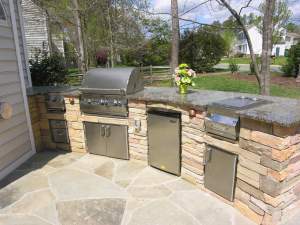 Here are some examples of outdoor kitchen designs that were created with the household’s chef in mind. The first project comes from Archadeck of Austin. 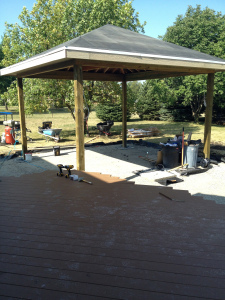 They designed a covered patio with stained concrete for the homeowners. 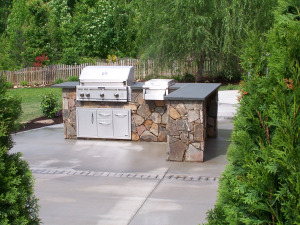 When the weather is nice, the owners prefer to cook and dine outdoors, so they needed a well-equipped outdoor kitchen. This curved design fit the needs by providing plenty of space for prep and cooking. 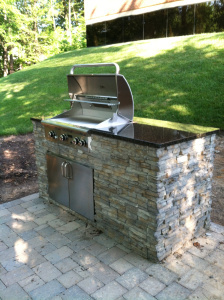 There’s a grill and smoker as well as an outdoor refrigerator to store food and drinks. Counter space was of utmost importance and the curved U-shape provides the perfect result. Because the owners would like to talk as they cook and eat outdoors, a bar-height counter was included as a dining space. 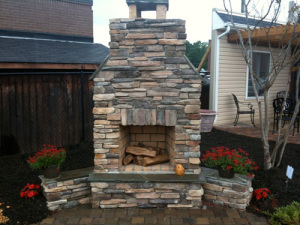 The free form rock works perfectly with the stained concrete for the rustic look they were looking for. 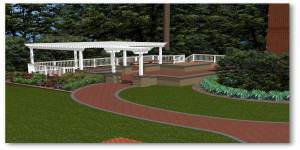 This second example is much more classic in design with straight lines and natural stone square and rectangular pavers. While these owners only needed a grill and stove for cooking, they still wanted a lot of counter space for buffet style parties. 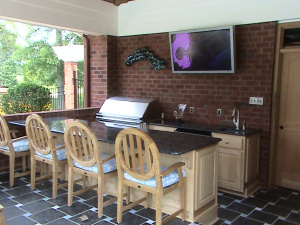 One side of the outdoor kitchen was dedicated to counter space for food prep and presentation. It was also important to the owners that all the dirty dishes aren’t brought inside all the time so a corner sink was installed for on the go cleaning. 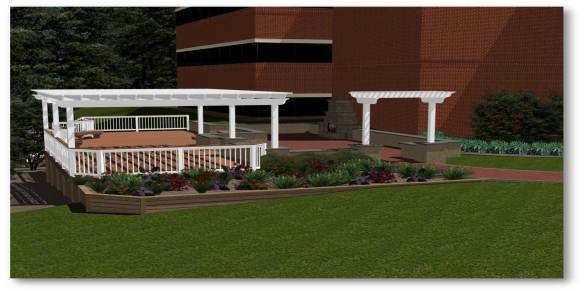 Our final project to display is the ultimate outdoor kitchen for the gourmet chef. The owners of this space LOVE to cook outdoors and they love pizza! 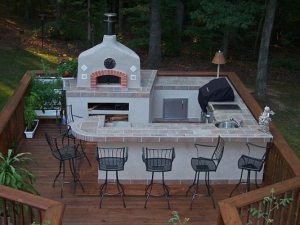 A custom wood-fired pizza oven was designed and built to create the perfect pizza (there is even an area to store wood underneath). Additionally, there is a grill, stove, sink and refrigerator. 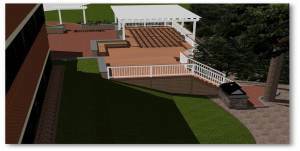 With ample prep space, and a bar that can fit 6 diners, there is no reason to go inside! 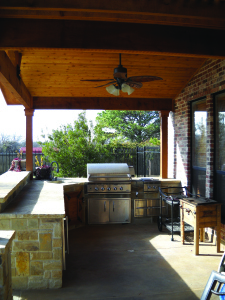 All three of these outdoor kitchen designs are vastly different, but each of them fulfills the needs of the homeowner. 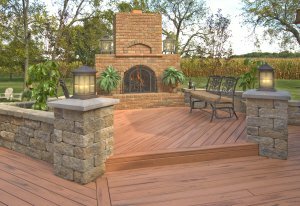 If you’re interested in creating the perfect outdoor cooking space in your area, please contact your local Archadeck office. Spring has sprung and summer is just around the corner. 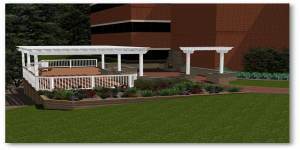 At Archadeck Outdoor Living, we are passionate about enhancing our clients’ outdoor living spaces with our designs and builds. 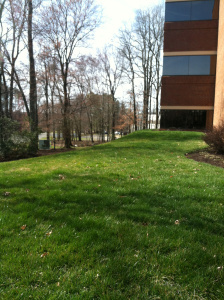 Our hope is that after our work is done that our clients spend more time outside. Places to gather. 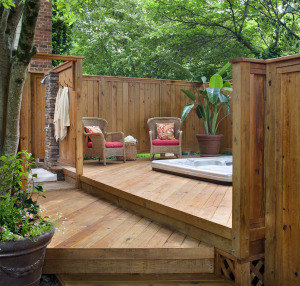 When it comes to entertaining friends and family outdoors, a clear area to gather and relax encourages people to spend time outside. 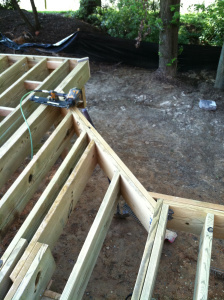 This should be discussed during the patio or deck design phase, but can easily be created in existing spaces. 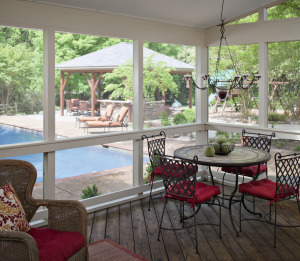 Strategically placed patio furniture or built-in seating is a clear way to invite guests into a specific area of your outdoor spaces. 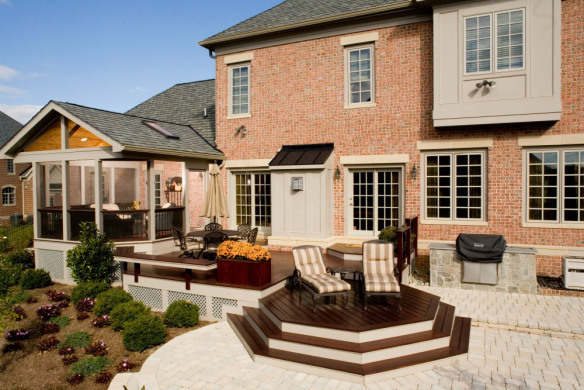 You can take it one step further with both living and dining outdoor furniture in different areas of the space. An area for cooking. 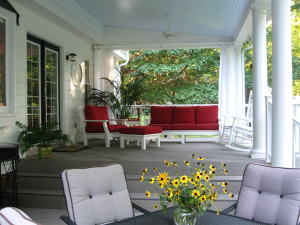 The more you can stay outdoors will keep your guests outside too. 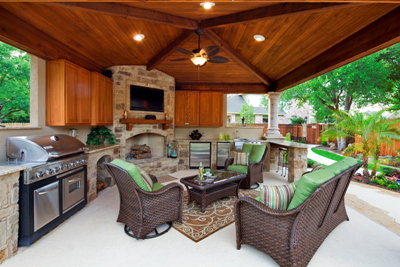 An area for cooking will keep you and your guests outside on a nice day/night. 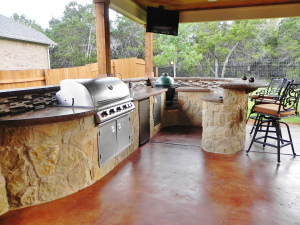 While a grill is a great place to cook, an outdoor kitchen will allow you to do more than just the cooking. With counter space, you can prepare, cook and serve your delicious cuisine. 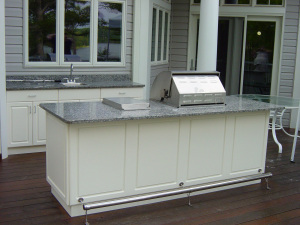 At Archadeck, we design custom outdoor kitchens that complement your overall outdoor living design perfectly. A fire feature. Personally, I don’t like to be forced inside on a lovely night just because the sun goes down and it gets a little cool. That is just one of the reasons that fire features have been growing in popularity over the last few years. 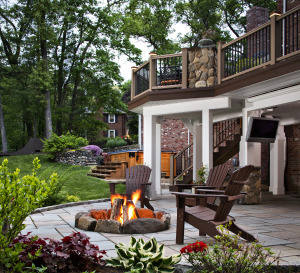 Both fire pits and outdoor fireplaces emit enough heat to keep you outside on a nice night, and who doesn’t love to huddle around a fire, not to mention the s’mores? 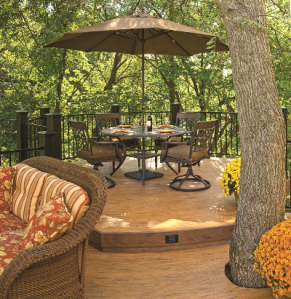 If you have questions on how to get more out of your outdoor living spaces, please contact your Archadeck Outdoor Living office. 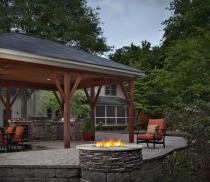 Fire pits and fireplaces are still all the rage, adding both fashion and function. By night they create summer-camp ambiance from early spring right through the fall. A fireplace, paired with an outdoor television that has integrated speakers, adds a whole new dimension to game-day get-togethers. 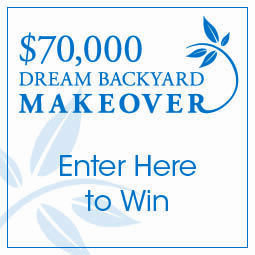 To give your outdoor living areas maximum appeal, choose an overall landscaping look that makes sense for your home, the weather and how busy you are. If you live in a dry desert climate, choose succulents that need minimal watering. 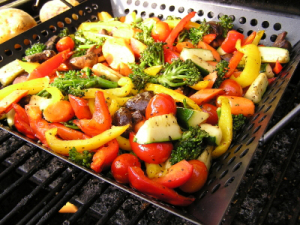 If you’re retired, you may want to add a flower or raised-bed vegetable garden that becomes a favorite hobby. 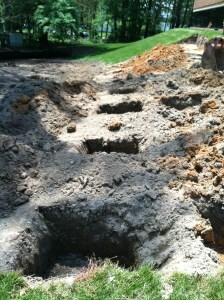 If you’re always on the run with work and your family’s schedule, don’t put in a complex landscape or garden that will need lots of maintenance. Goodbye grill, hello cooking zone. Whether you call it your outdoor summer kitchen like they do in chic, seaside resort communities, the trendiest outdoor living areas all have places to let your inner chef loose in the great outdoors. 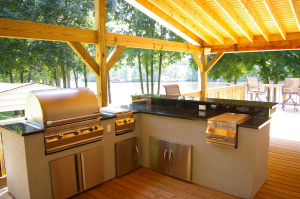 Just like gourmet indoor kitchens, your outdoor kitchen can be built with warming drawers, outdoor cooking stations with integrated storage, even a prep station and mini fridge, along with a more traditional gas grill. 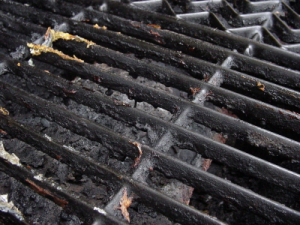 Newer amenities include a hybrid grill that lets you cook both gas and wood or charcoal. 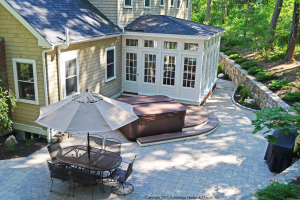 Kitchen appliances, advanced deck materials and high-tech spas are making it easy to adapt new design trends into your great outdoors. But be careful not to overlook the big picture. 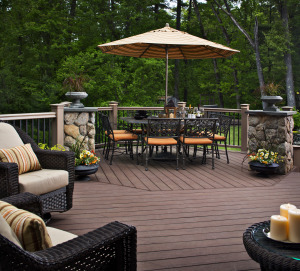 Your primary goal is to enjoy your new outdoor living space, rather than spend money maintaining it. Always ask if products are low-maintenance and easy to take care of. 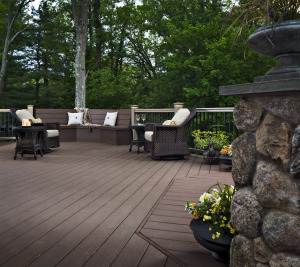 It’s always best to talk to your deck builder about how you intend to use the space to ensure your patio and deck design works well for you and your family. 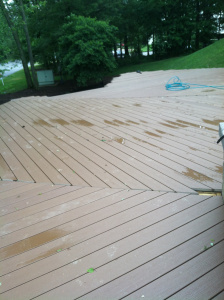 If you have any questions, please contact your local Archadeck Outdoor Living office.